Diabetes, commonly described as a “lifestyle disease”, can contribute to infertility in both women and men, warn health experts. “Diabetes can cause infertility in both men and women. Both sexes are at equal risk of infertility,” S.K. Wangnoo, endocrinologist at Indraprastha Apollo Hospitals, told IANS. “Diabetes in men damages DNA of the sperm and leads to reduced number of sperms and reduced motility of sperms which leads to infertility. 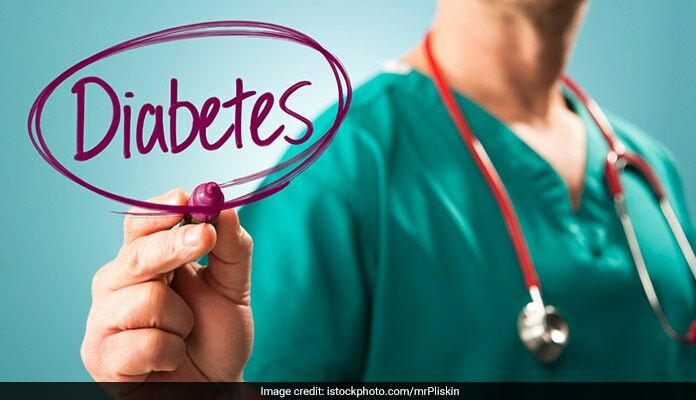 Although having diabetes does not necessarily make men infertile, it could make them less fertile,” added Roopak Wadhwa, Consultant at Fortis Hospital, New Delhi. On the other hand, diabetes in women is associated with polycystic ovary syndrome (PCOS) and other autoimmune diseases that can lead to infertility. “Diabetes causes a lack of glucose control in the body which, in turn, can make the implantation of the fertile egg in the uterus difficult. Therefore, the chances of miscarriage in diabetic women increase between 30-60 per cent,” Wadhwa explained. Another WHO report had stated that India had 69.2 million people living with diabetes in 2015. By 2030, nearly 98 million people in India may have Type-2 diabetes, according to a study published in the Lancet Diabetes and Endocrinology journal last year. While diabetic patients can always try parenthood, the risk of passing on the sugar disease to the child is approximately 50 per cent high, Wangnoo stated. “It can also cause intra-uterine growth retardation (IUGR) and congenital anomalies. IUGR is a condition where an unborn baby is smaller than it should be because it is not growing at a normal rate inside the womb,” Wadhwa added. Furthermore, he noted that diabetic mothers are at high risk of premature deliveries, abortions and perinatal (during birth) complications. High diabetes can be risky for both mother and child. The experts suggest that maintaining a good lifestyle, an ideal body weight, keeping sugars within target range, avoiding smoking and alcohol and excessive work related stress are some of the preventive measures. Besides infertility, diabetes can also raise the risk of cardiovascular and lung disease, arthritis, osteoporosis. An estimated 3.4 million deaths are caused due to high blood sugar, according to the WHO. The global health body also estimates that 80 per cent of diabetes deaths occur in low and middle-income countries and projects that such deaths will double between 2016 and 2030.